Fritz Heiler, the chief cook and sole bottle-washer of Fritz Frequencies, has been designing and making loudspeakers since 1973 while he was still in college—when he should have been studying instead! It’s now 2015, and Fritz is still going strong stirring up new concoctions in his loudspeaker laboratory. Not one to rest on his laurels after many good reviews of his loudspeakers, Fritz is constantly experimenting with new drivers and cabinet construction to improve his designs. 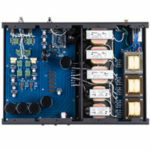 Instead of emptying his pockets by making original speaker driver units, Fritz uses expensive drivers from established and well-known international companies which are then housed in his well-built and well-braced cabinets. Fritz believes the best crossover for his speakers is a simple first-order variable series one-firmly believing in the KISS principle-without capacitors or resistors in the input circuit. This approach theoretically provides smoother impedance and phase curves. A case in point is the SE version of his most popular model: Carbon 7. The SE stands for Special Edition. I first became aware of Fritz Speakers on the Audio Circle forum in 2008, and then met the man behind the company at the Rocky Mountain Audio Fest later the same year. I didn’t expect to meet a laid back but garrulous Californian-even though Fritz originally hails from the Midwest-since most speaker designers I know tend to be singularly-focused and intense individuals. We hit it off at RMAF and I spent a good amount of time listening to his system setup at the show. I have since heard several other models at various audio shows, and have always come away with the impression that Fritz makes very good value and great sounding speakers. In the realm of stand-mount/bookshelf speakers the Fritz Carbon 7 SE is both mid-size and mid-weight, measuring 16H x 9W x 12D (including the ½ inch grill) and tipping the scales at approximately 27 lbs each. My review pair is clad in exotic Madagascar Ebony veneer, which would blend well within the fauna and flora of a savannah. Retail is $2,500 for the pair, and Fritz can provide custom finishes at a higher cost. The relatively new Carbon 7 SE is fitted with a 7-inch ScanSpeak composite carbon-graphite fiber and paper pulp mid/bass driver, and a 1-inch ScanSpeak Illuminator AirCirc soft dome tweeter, which I feel is an improvement in sound quality over the original drivers. 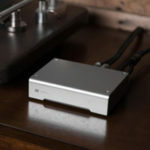 As mentioned at the beginning of this review, Fritz utilizes a “simple first order variable series crossover centered around 2,200 Hz, without any capacitors or resistors in the direct input circuit with the tweeter,” according to his website. There is a single port at the back of the speaker, so it is best not to position the SE too close to the back wall, to negate bass bloat. Sensitivity is rated at 88 dB and impedance of the Fritz Carbon 7 SE is nominally rated at 8 ohms @ 1,000 Hz. Frequency response (according to his website) is 38Hz-30Khz, +/-3dB. Fritz claims the Carbon 7 SE “is very easy for tube amps to drive.” All the tube amps I have own past and present, are smiling from ear-to-ear. My current reference, the PrimaLuna DiaLogue Premium HP power amplifier certainly had no trouble driving the Carbon 7 SE to loudness levels where my neighbor from across the street phoned to tell me to keep it down. I’m just kidding. I played with placement for about an hour before I was satisfied that I was getting the best possible sound in my listening room. The Fritz Carbon 7 SE speakers were spread approximately seven feet apart and about thirty inches from the back wall, with the toe-in and tweeter firing almost directly at my ear level, while positioned on 19-inch tall metal stands with tippy-toes attached. Associated equipment for this review included my Rogue Audio 99 Super Magnum preamplifier, newly purchased PrimaLuna Dialogue Premium HP power amplifier, music dedicated Asus laptop loaded with JRiver 20 music player, and iFi Micro iDSD DAC. An Oppo 981 was used as a transport and connected to the iFi Micro iDSD to spin CDs. You remember those, don’t you? For speaker comparison, my AAD 2001 and Heybrook HB150 bookshelf speakers served as references. The pair of Fritz Carbon 7 SEs that Fritz sent me has had many hours of listening use and therefore, well broken-in. I nod in appreciation that I am able to jump into my listening chair and start auditioning right away. All listenings are performed with the magnetic grills off. A few years ago, I had the original Fritz Carbon 7 speakers in my possession for several weeks. The reason why the speakers were in my keep temporarily is because I was holding them until a reviewer friend made some time for an audition. Naturally, I listened to the Carbon 7 in my system until I passed them on to my friend. 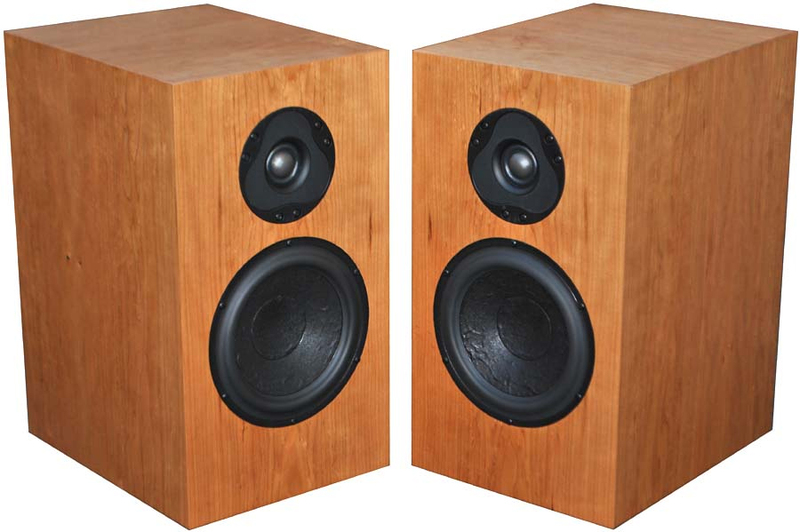 In fact, I compared them to both my reference AAD 2001 and Heybrook HB150 bookshelf speakers at the time. It is a fortunate circumstance that I can compare the newer Carbon 7 SE with my two reference bookshelf speakers again. While some specific sonic attributes have faded from my memory of the original Fritz Carbon 7 model, I do remember the overall sound was warmish, almost a lush quality, which was evident over the entire frequency spectrum, regardless of whether I used tube, solid-state, or digital switching amps. This is not to say that the original Carbon 7 was veiled sounding, but it did not provide the utmost detail compared to a few other bookshelves I had heard up to that time, mainly in the lower midrange/upper bass region. 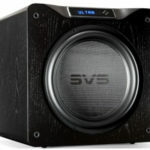 The speakers had a nice midrange fullness which is an important factor in my giving at least a thumb up for any particular model. 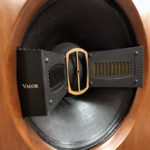 Overall, the original Carbon 7 sounded almost like my classic British Heybrook HB150 speakers; that is to say, a sweet and warmish musical presentation. This last point is important because the sound equivalent of being covered by a heavy blanket on a summer day implies too much warmth. An overly warm presentation doesn’t sound real to me-like what I hear at a live concert-and the original Carbon 7 never came close to reaching that point. But add the proper amount of warmth in the mid-band and the presence region comes alive! This type of sound is preferable to me more than a sound that is merely detailed and transparent, but lacking any soul. If I could have the proverbial cake and eat-it-too situation, the ideal sound would be a blending of the two, without over-emphasis of one or the other. Achieving the ideal, of course, is no easy task. A synergistic marriage with the various components of one’s system and positive room interaction, are required for my ideal sonic result. Speaking of the bass region, the SE delivers a tight and impactful punch, without any detection of flabbiness, even with my PrimaLuna tube amplifier. For example, on Adele’s infectious debut album 19, the track “Tired” has a punchy and rhythmic bass guitar line that never overwhelms the other instruments. The bass guitar notes exhibit excellent pitch and articulation. Micro-dynamic shadings of the kettle drum are exemplary on “The Cowshed” from Fionn Regan’s terrific album, The End of History. I could determine how much force is used for each note as the drumstick is struck on the kettle drum, producing correspondingly small changes in volume level. On organ recordings such as Jean Guillou’s masterful rendition of Mussorgsky: Pictures at an Exhibition, the SE delivers many of the low bass notes but doesn’t quite have the low-end grunt that one gets with larger woofers. You can’t defeat the law of physics by asking a 7-inch mid/bass driver to do the work of a 12-inch or larger woofer. But the Scanspeak driver achieves excellent bass reproduction within its design parameters. So, for organ and double bassoon music lovers, a separate subwoofer should mate well with the SE and produce the deep grunts of the lowest bass. Compared to my Heybrook HB150s, bass with the Fritz Carbon 7 SE is tighter, cleaner, punchier, and produces lower notes. My AAD 2001 reference is the king of small speaker bass, designed by bass guitarist Phil Jones-famous for also designing the award winning mini-monitor Acoustic Energy AE1. The Carbon SE delivers almost the same amount of clean bass extension and bass impact as my AAD, and this is quite a complement to Fritz’ design of the SE. Moving on to the all-important midrange, there is better resolution-more detail-than what I remember of the original Carbon 7’s capabilities. For example, track 10 of Chasing the Dragon (warning: audiophile recording) is a studio recording of a piano composition, in which the striking of the keys is accurately reproduced with the Carbon SE. Furthermore, the harmonic overtones are beautifully rendered as the hammers strike the strings, resulting in soundboard vibrations reverberating within the piano walls. Piano transients are very good but not quite up to the speed of ribbon tweeters. I’ve used Joni Mitchell’s Blue in several of my past reviews, partly because it’s fairly well-recorded, and partly because of her purity of singing and exquisite use of vibrato on several tracks. At the beginning of the title track and on “River”, the weight of Joni’s piano playing is evident with the Carbon SE, and her use of vibrato is reproduced perfectly. I could sense the emotion she put into singing and playing of both songs. The Carbon 7 SE nearly excels at producing the liquidity and smoothness of the midrange, almost equal to the amount of “presence” that I hear with my reference AAD 2001 speakers, but far superior than the midrange reproduction of my Heybrooks. Feist’s The Reminder could sound like a bright, thin, or brittle recording on some components, including speakers. Feist has a fairly high-pitched voice. Components that accentuate the treble will render her singing as unpleasant. Not so with the Carbon 7 SE in my system. Feist’s vocals is dare I say, pitch-perfect. The treble region is smooth, organic, without stridency and never approaching brightness. My AAD and Heybrook bookshelves also provide similar treble abilities. Joe Morello, the drummer on Dave Brubeck Quartet’s ‘Take Five,” performs his version of the jazz classic on Morello Standard Time. Joe Morello takes the listener for a ride around his drum kit during the two minute intro before anyone will realize that it is the same tune. The imaging is great with the Carbon 7 SE as I can hear exactly which piece of the kit he is attacking in its own space. This precise imaging of the SE is better than both my AAD and Heybrook speakers. Playing music at fairly loud levels-at least to my ears-at the 92-97 dB range, I could not subjectively discern any anomalies, compressions or distortions of any kind from the Fritz Carbon 7 SE. Near the end of this review, I received from Kevin Deal of Upscale Audio an octet of KT150 output tubes for audition as he wanted my impressions compared to the KT120 that I used for my review of the PrimaLuna Dialogue Premium HP power amplifier. Well, the KT150 corrected the gripe I had with the KT120: a slight loss of midrange smoothness and corresponding increase in muddiness. Not only is the KT150 smoother and more detailed, but more musically involving, more transparent, more bass impaction, and more everything else that is musically important, which the Carbon 7 SE and the rest of my system were able to demonstrate. The Fritz Carbon 7 SE is a really good loudspeaker and will sound its best if quality components are used. Anyone will be rewarded with extremely pleasurable listening sessions as a result of synergistic pairing of the SE with other components. The Carbon 7 SE is a fine producer of reproduced music, and I believe it is Fritz’ finest effort to date. I give them two thumbs up! I highly recommend auditioning the Fritz Carbon 7 SE to anyone looking for an extremely capable and affordable loudspeaker. Until next time, I bid you happy listening.